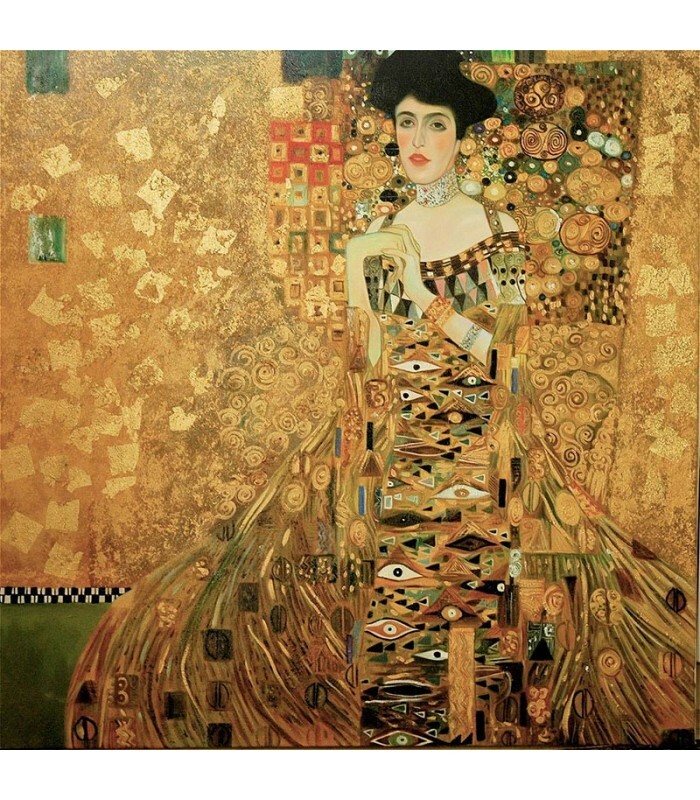 Fantastic reproduction of one of Gustav Klimt's most famous works which was sold for 135 Million USD in 2009. The original measures 135cm x 135cm and this reproduction can be made in any size. The price here is for 100cm x 100cm. The technique used is the same as the Austrian aritst used 1876 - a mixture of oil, acrylic and gold leaf.